Repaint of the FSPainter (FSP) Boeing 787-9 in Etihad colour scheme. Base files for FSP FSX/P3D at avsim.com. This is an AI aircraft only. 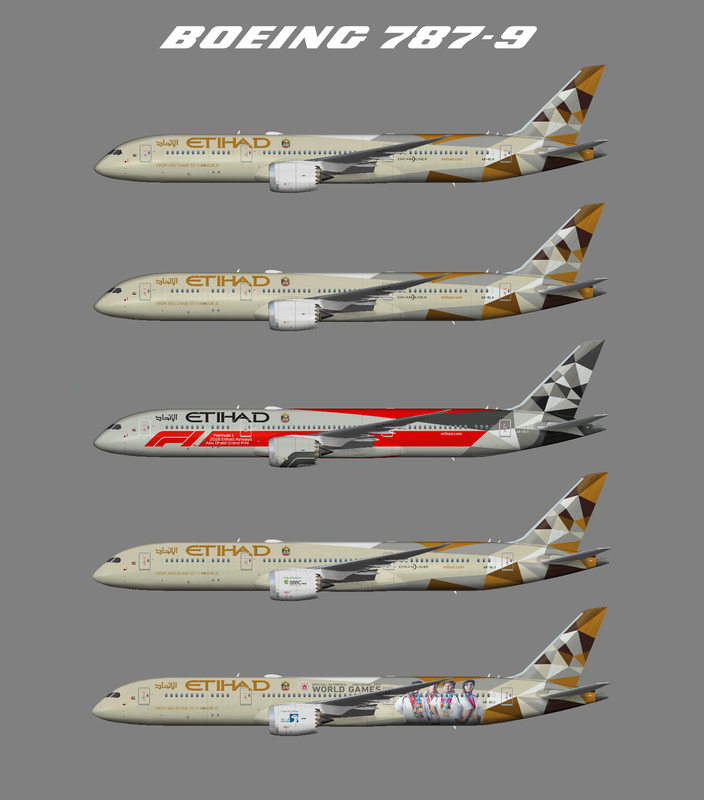 If possible could you see your way to painting the FSP B787-10 which was recently delivered to Etihad and the new F1 scheme on the 9? Can you draw this for UTT model? Great work. Thank you !